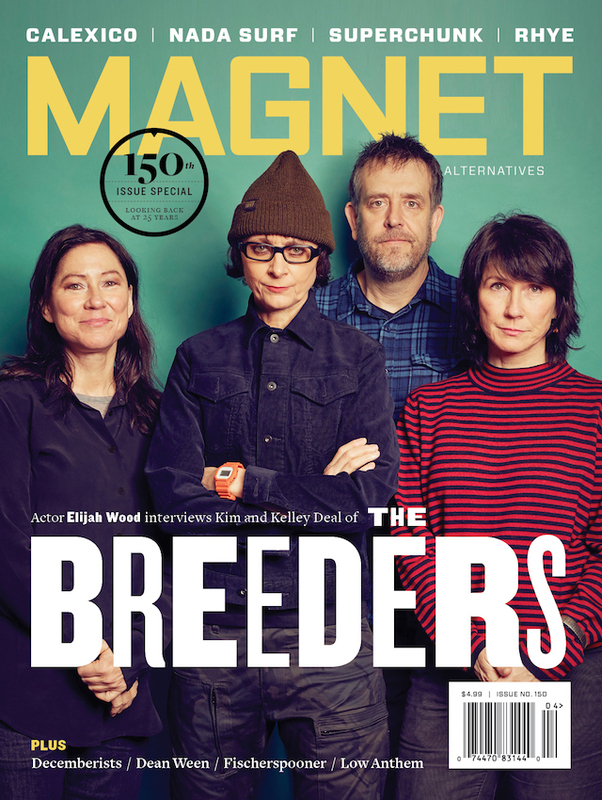 MAGNET: The best thing about being in the music biz now, as opposed to when you were younger, is? MANSON: Beware the older woman, for she is emboldened and has little to no fear. VIG: You’re a bit more grateful, and also you don’t want to throw it away. And I’m definitely not as self-destructive. If I had had success when I was 20 years old, I would have probably exploded. Now that Garbage runs its own record label, StunVolume, which band member is the president? MANSON: I smash the gavel. But that’s only because the other three don’t want to smash the gavel. That’s not their style. VIG: Probably Shirley because she has the loudest voice out of all of us. Her voice is louder than Duke (Erikson)’s, Steve (Marker)’s and mine combined. Who are the top three people in history you’d like to have a drink with? MANSON: Louise Bourgeois (French artist), Stanley Kunitz (poet laureate of the United States) and Elvis Presley. VIG: Aaron Rogers (quarterback of the Green Bay Packers), John F. Kennedy and Gandhi. Although I don’t think Gandhi would have a drink, so I’d have to have two. What’s a song that you absolutely hate? MANSON: “My Humps” (by the Black Eyed Peas). That really bummed me out. VIG: “Don’t Worry Be Happy” (by Bobby McFerrin). It’s a tie between that and “Macarena” (by Los del Rio)! Can you briefly psychoanalyze the new Garbage album? MANSON: Three Peter Pans and one demented Tinker Bell. VIG: It’s an album for misfits. To read the full 20 Questions interview, pick up a copy of issue #87.